Those familiar with the Dragon Ball Z franchise will recognize the head-mounted Scouter computer often seen adorning character faces. 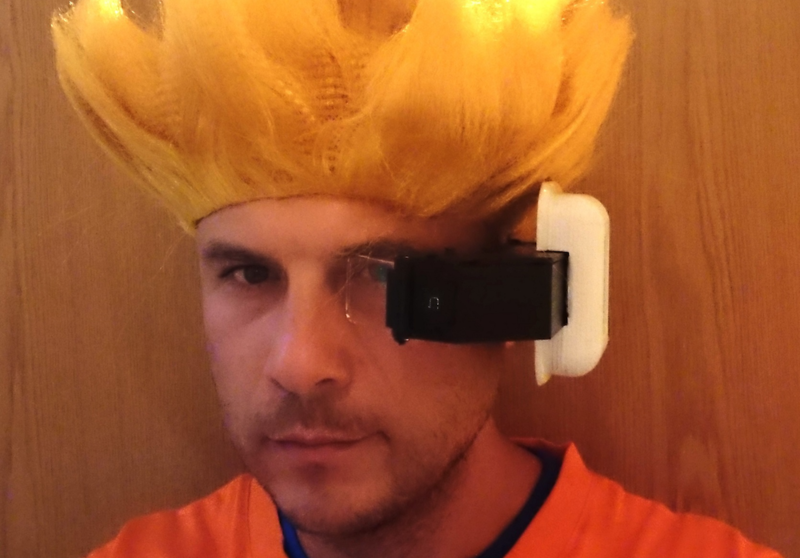 As part of his Goku costume, Marcin Poblocki made an impressive replica, featuring a see-through lens that shows the “strength” of the person he’s looking at, based on a distance measurement taken using a VL53L0X sensor. An Arduino Nano provides processing power for the headset, and light from a small OLED display is reflected on the lens for AR-style viewing. It’s not exactly perfect copy but it’s actually working device. Inspired by Google virtual glasses I made virtual distance sensor. I used Arduino Nano, OLED screen and laser distance sensor. Laser sensor takes readings (not calibrated yet) and displays number on OLED screen. Perspex mirror reflects the image (45 degrees) to the the lens (used from cheap Google Cardboard virtual glasses) and then it’s projected on clear Perspex screen. So you will still see everything but in the clear Perspex you will also see distance to the object you looking at. 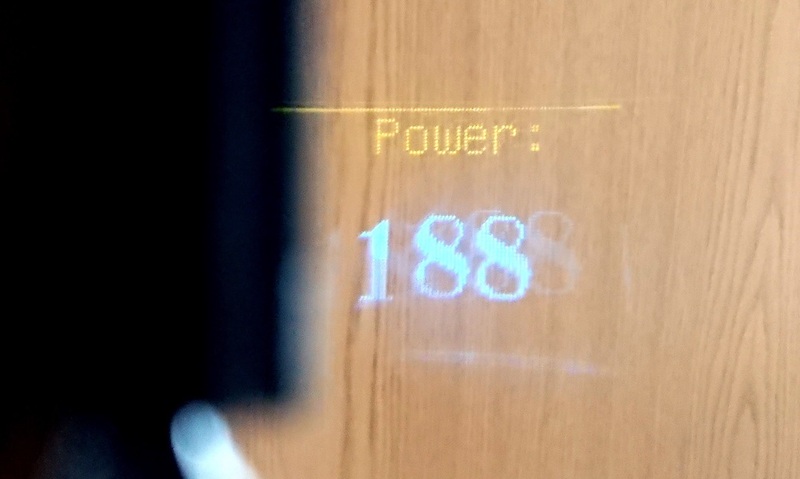 On OLED screen I typed ‘Power’ instead distance because that’s what this device suppose to measure in DBZ. Print files as well as code and the circuit diagram needed to hook this head-mounted device up are available on Thingiverse. For those that don’t have a DBZ costume in their immediate future, the concept could be expanded to a wide variety of other sci-fi and real world applications.